This fall, UW–Madison welcomed 6,610 freshmen — the largest incoming class in the university’s history. The number is up from 6,430 last year, an increase of 180 students, or 2.8 percent. Total enrollment for fall 2017 at UW–Madison grew to 43,814, up from 43,336 last year. Undergraduate enrollment is 29,993, up from 29,536. The numbers come from the university’s official census, taken each semester on the 10th day of classes. The freshman class was selected from a record number of applicants: 35,615, up from 32,887 the prior year. 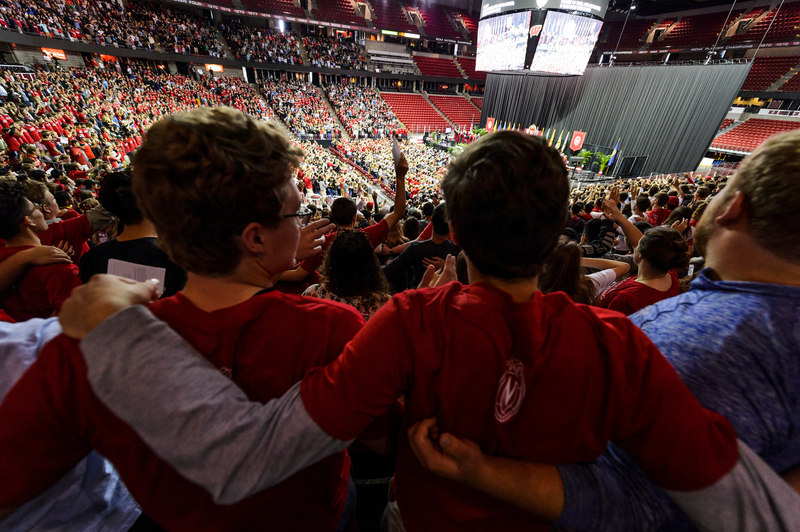 Of the new freshmen this year, 3,746 are Wisconsin residents, up from 3,671 last year. The freshman class has 594 Minnesota students, down from 637 last year. The percentage of first-generation college students increased, rising from 16.7 percent of the freshman class last year to 17.2 percent this year. The definition of “first-generation” is that neither parent holds a four-year college degree. The freshman class has 547 international students, comparable to 551 last year. The campus welcomed 1,128 transfer students, up from 1,091 last fall. African-American, Hispanic/Latino, American Indian and Southeast Asian-American students make up 10.8 percent of the 2017 freshman class, down slightly from 11.2 percent last year.